Gandhinagar, Friday: Gujarat Chief Minister Mr. Vijay Rupani today hailed the budget presented by the Union Finance Minister Mr. Piyush Goyal under the leadership of Prime Minister Mr. Narendra Modi. He considered the budget as the budget for development. 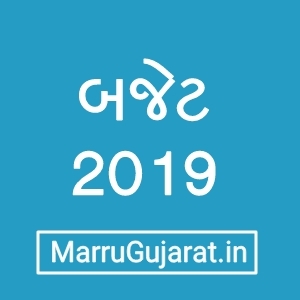 Mr. Rupani extending a Gujarati quote “Kidi ne Kan, ne Hathi ne Man” (sufficient to all, as per requirements) said that this budget will benefit to farmers, rural people, unorganized sector workers, youth, women and honest taxpayers. This Government has fulfilled the hope of New India under the leadership of Prime Minister through such Historic Budget. Mr. Rupani praised this interim budget and thanked Union Cabinet and Government of India on behalf of the people of Gujarat. The considered the announcement made of rise in Income Tax limit to Rs. 5 lakh as important. TDS threshold on rental income has been relaxed and standard deduction made Rs. 50,000. Welcoming the Pradhan Mantri Kisan Samman Yojan, Mr. Rupani said that, farmer is kept at the centre point, Rs. 6000 per year for each farmer with land less than 2 hectares landholding. This initiative will benefit 12 crore small and marginal farmers of nation and will benefit 36 lakh farmers of Gujarat. Apart from the assistance to farmers by the State Government this initiative will be in addition to it. Mr. Rupani considered the step taken for the workers in unorganised sector as revolutionary, 10 crore workers in unorganised sector will be benefited by providing assured monthly pension of Rs. 3000 per month, after 60 year of age. He also welcomed the initiative to increase the Gratuity Limit. Mr. Rupani congratulated the Government for announcing Rs. 3 lakh crore outlay for the defence sector. The decision’s of 50 percent increase in pay of anganwadi women’s, PM Matru Yojana for pregnant ladies and 26 weeks of maternity leave are important decesions, he added. Mr. Rupani also congratulated Mr. Goyal for the 10 historical decisions made for the development of the nation. Wind and solar energy are being encouraged in Gujarat and it will be more accelerated. Gujarat has 1600 km has long coast line.